Brazilian journalist Rodrigo Calvozzo, who writes for Goal, has been talking up Liverpool’s newest acquisition this weekend – 18-year-old countryman Allan Rodrigues de Souza. Calvozzo, who is quoted by the Liverpool Echo, believes that the £500,000 signing from Internacional will be a big hit at Anfield. The player trained with the squad last week and was an unused substitute during Saturday’s friendly win over HJK in Helsinki, reportedly earning rave reviews for his efforts. Allan will likely feature for the Reds’ academy side next season, alongside fellow new signings Bobby Akeyande and Brooks Lennon. However, it will be interesting to see how quickly he progresses and whether he’s able to earn a loan move or even a spot in the Liverpool team for a couple of the cup matches later this year. “Although very young, Allan Rodrigues was always treated by Internacional as one of the most important players in the team. At only 18 years old, the player stood out as the second man in a three-man midfield. “He had his most important moment during the campaign of Frenz International Cup, one of the most prestigious Under-18s club tournaments in world football, when the team from southern Brazil won the title by beating Argentina’s Estudiantes in the final. 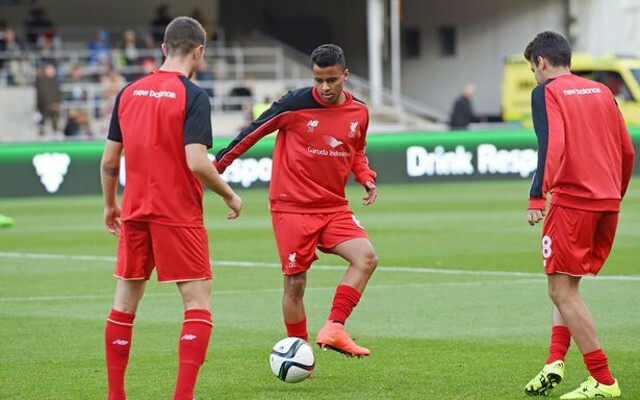 “Despite his young age, Allan is appointed as a very calm player and his talent belies his teenage years. He is very technical, and the left-footed star likes to play long passes that generally seek the fast attackers ahead. “On the other hand, do not expect to see in this player much speed. Allan usually find space to make decisive passes, but acceleration up the field is not something that should be expected. “Diego Aguirre, coach of International, decided to call the player into the senior set-up after impressing throughout the Brazilian Under-20s Championship, alongside Alisson Farias and Bruno Gomes. “The coach of the Under-20s International team, Ricardo Colbachini, understands that Allan is a talent that can easily adapt to European football, as he has a good tactical understanding – rare among Brazilian footballers, especially at this age.